In a very brief period of time, songwriter and producer Chris DeStefano has solidified his role as one of Nashville’s most in-demand creative forces. 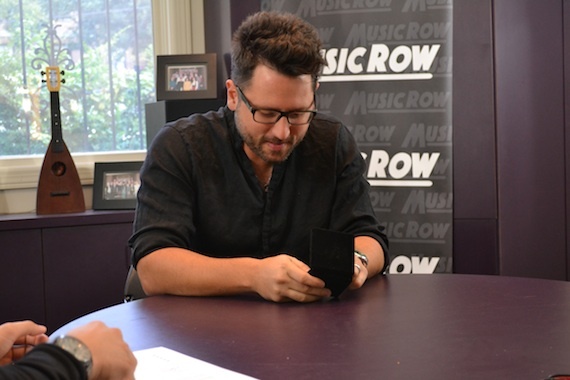 He recently visited MusicRow‘s office, where he was feted for two chart-topping singles on MusicRow’s Country Breakout chart, including the Miranda Lambert/Carrie Underwood duet “Somethin’ Bad,” (penned with Brett James and Priscilla Renea), and Chase Rice’s “Ready Set Roll” (penned with Rice and Rhett Akins). 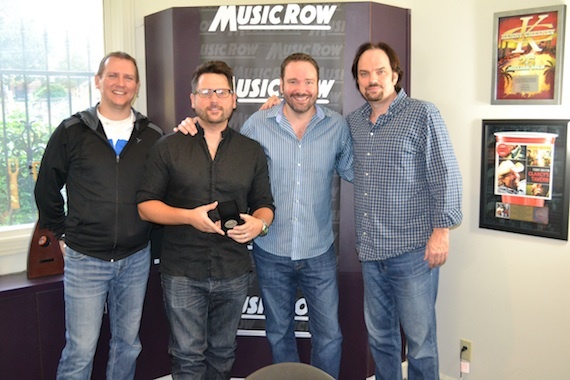 These mark DeStefano’s second and third MusicRow Challenge Coins, respectively. His first was for “Rewind,” recorded by Rascal Flatts. “It was the first song we wrote together,” recalls DeStefano of writing “Ready Set Roll.” “Josh [Van Valkenburg] called and told me about Chase, and how he co-wrote ‘Cruise,’ and was working on songs for an album. We wrote the song pretty quick, and it had a different title at first. Chase suggested, ‘Ready Set Roll,’ so I made up the melody and Chase loved it. It was pretty fun. At the end of the day, we felt good about it. That kind of kicked him off into ‘You should produce my album.’” The album, released on Columbia Nashville/Dack Janiels, reached No. 1 on the Billboard Country chart. During DeStefano’s visit with MusicRow, he also shared that the feisty female duet “Somethin’ Bad” was penned approximately two years ago, and not in a 9-to-5 Nashville writer’s room, but rather in a chateau near France’s Bordeaux region. He and fellow songwriter Brett James “penned two songs that day, but ‘Somethin’ Bad’ was the standout,” said DeStefano. “We were in this huge, roomy studio with a large fireplace. There was a lot of reverb in the room, so we started doing these stomps and claps and rocking out. We went out of the box a bit with it. 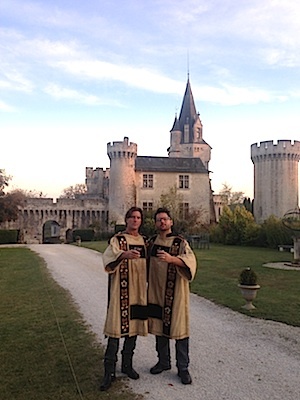 DeStefano and James recently completed a return trip to the French chateau, where they each garnered new titles. Next up for DeStefano? Another chart-topper, most likely. He co-wrote Underwood’s new single, “Something In The Water,” which sits at No. 13 on the MusicRow CountryBreakout chart. 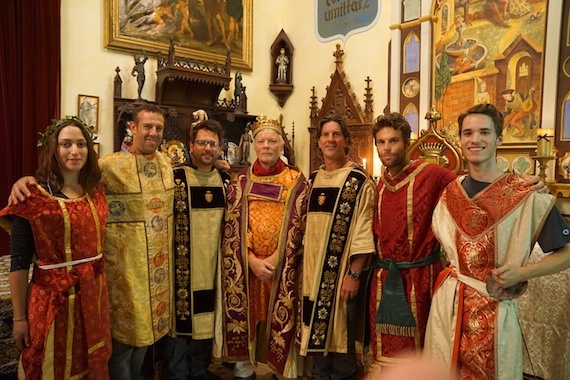 Pictured (L-R): Gali Firstenberg and Jason Silberman, Sir Christopher DeStefano, Lord Miles Copeland, Sir Brett James, David Ryan Jordan and Axton Copeland.